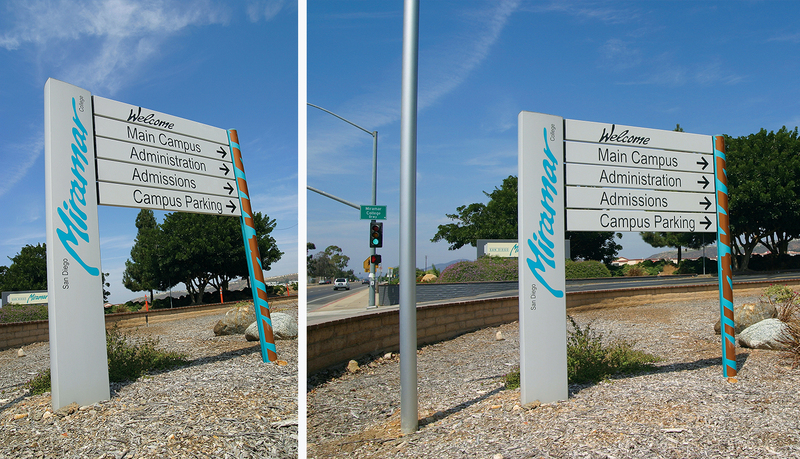 In 2000, the San Diego Community College District entrusted its master plan for exterior wayfinding at the Miramar College campus to ASI. 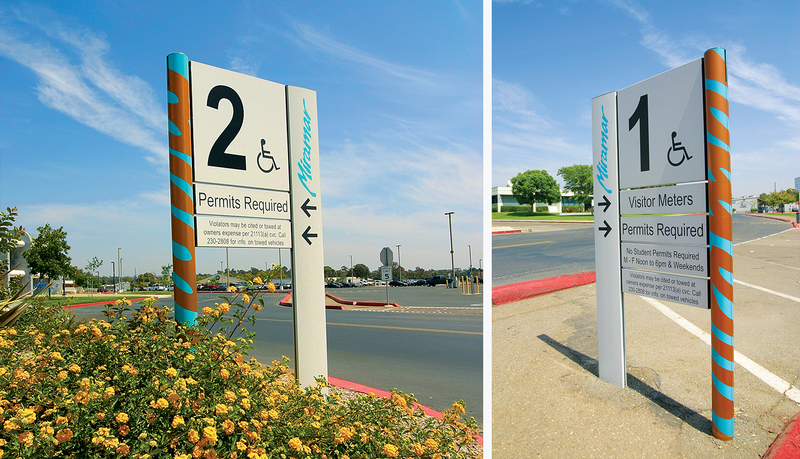 The wayfinding challenges were to direct both vehicles and pedestrians with ease to their desired destinations; to reinforce Miramar College’s brand while emanating a warm, welcoming image throughout the campus as well as to allow for flexibility for future growth. 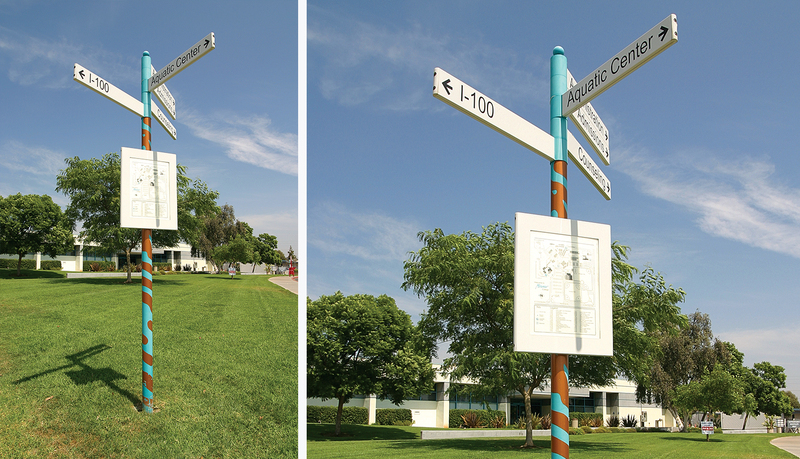 Successful wayfinding was accomplished through a combination of clear, parking lot identification signs, both vehicular and pedestrian orientational directories, and directional signage throughout the expansive campus. Each highly visible sign includes the Miramar branding including colors and logo. The pedestrian directional signage includes orientation maps so pedestrians can easily know where they are and where they are going. The placement of each sign was carefully chosen and placed strategically to provide clear and timely information to visitors. The pedestrian “finger-post” directional signage includes orientation maps, so pedestrians could easily reorient themselves.